Dr. Bea Lovely is the Founder of Christian Fellowship Gospel Temple in Palmetto, FL. Where she has pastored for the last twenty six years without reprieve. 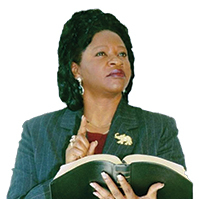 She holds an Honorary Doctorate Degree in Divinity from Love of God Seminary School. She has been preaching and teaching the Word of God for thirty seven years, She began her ministry of the streets of Belle Glade, FL., where she preached to the downcast, brokenhearted, drug dealers and abusers. Dr. Bea Lovely is both a National and Inter-National speaker, once you hear this Great Visionary, and General you will know that this is a Voice of the Apostolic!